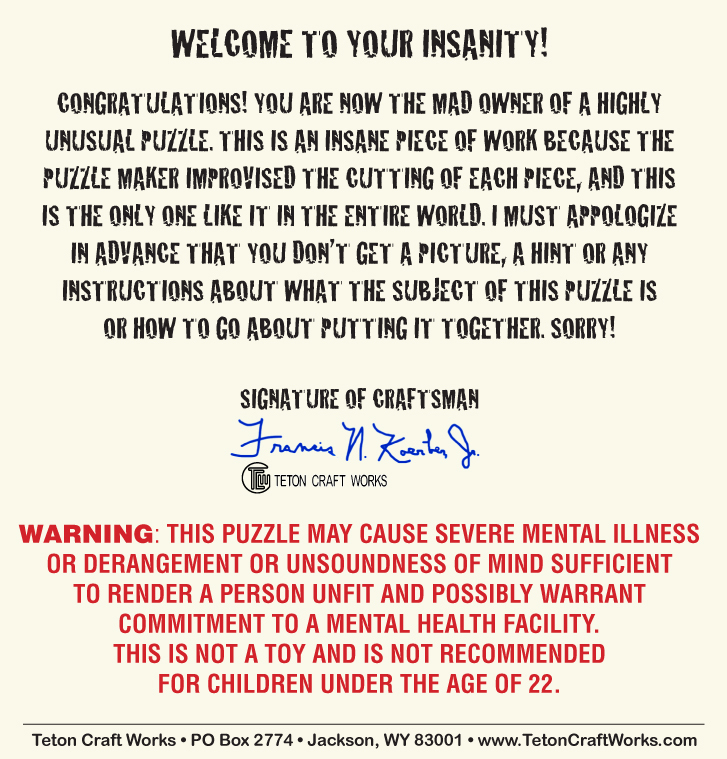 This printed, hand signed note comes with every puzzle and is appropriate if you are gifting the puzzle to a family, friend, or better yet, a fiend! Buyers of the puzzle can choose to know the subject matter of the puzzle, OR NOT! for a fun surprise. 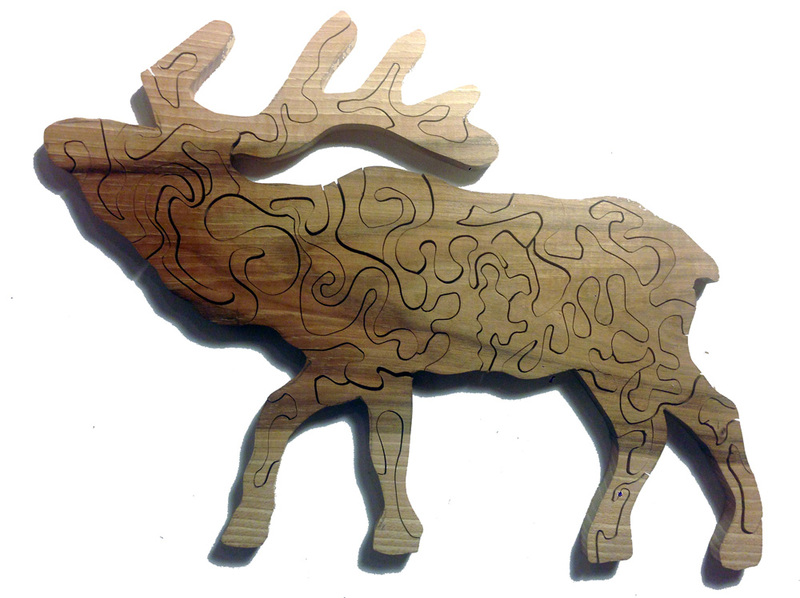 Unless the subject matter is designated by the customer, the subject matter will be one of six wildlife forms: elk, bear, moose, trout, mustang or bison.